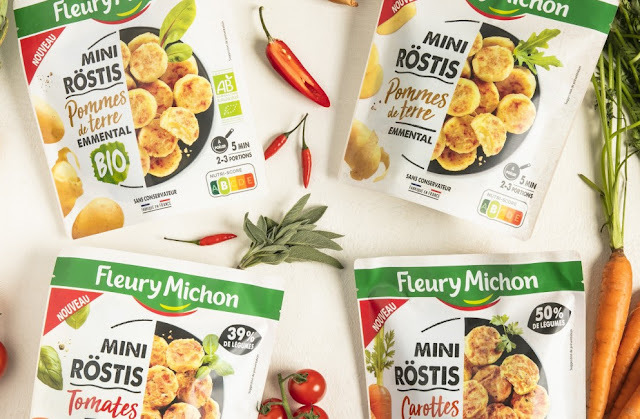 Fleury Michon is a French brand for a variety of refrigerated food products, such as sliced meats an ready-made meals. Around October last autumn, it launched a fresh new look, created by French agency Carré Noir. Carré Noir were also behind the previous redesign for brand which was introduced as late as 2015. This suggests their previous design was an evolutionary step to renew the brand without loosing familiarity. The new look wants bring in more emotion with packages redesigned to be transparent and less industrial. Previous logo, introduced in 2015. The logo that was replaced by the 2015 logo. Introduced in 1998 and designed by Dragon Rouge. The new logo on some packages.